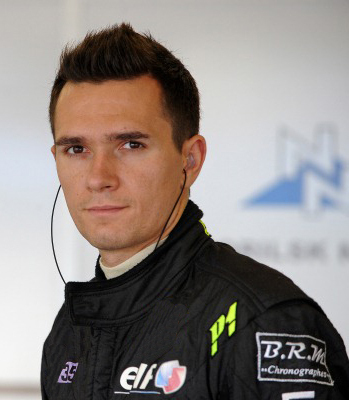 INDIANAPOLIS (Nov. 22, 2013) – Schmidt Peterson Motorsports (SPM) has signed 26-year-old Russian Mikhail Aleshin, who most recently competed in the Formula Renault 3.5 Series, to drive its second entry for the 2014 IndyCar season. Aleshin got his first seat time in an IndyCar on Nov. 18 when he tested with SPM at Sebring International Raceway. The Moscow-native won the Formula Renault 3.5 Championship in 2010 and tested the Lotus Renault F1 car as well as the Red Bull F1 car before setting his sights on the North American based IndyCar Series. SPM team owner Sam Schmidt is looking forward to adding Aleshin alongside third-year IndyCar driver Simon Pagenaud who collected two wins and finished third in the 2013 IndyCar Series Championship. After an incredibly successful 2013 season in IndyCar that saw the team collect its first two IndyCar wins with Simon Pagenaud, team owner Ric Peterson is eager to add even more talent to the SPM arsenal. Team General Manager Rob Edwards commented on Aleshin’s ability to adapt during testing in Sebring, Fla.
Aleshin, who had previously never been to the United States, is pleased with his decision to join SPM for 2014. “I chose Schmidt Peterson Motorsports for many reasons, but the most important thing was that I saw a team with great potential,” Aleshin said. “I understood that these people are really aiming for victory and it’s very important for them. For the latest updates from Schmidt Peterson Motorsports and its newest IndyCar driver Mikhail Aleshin, follow @SPMIndyCar on Twitter.